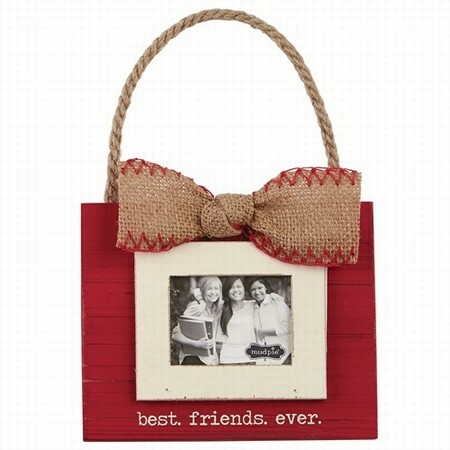 "Best Friends Ever" frame is ever so perfect for your best friends, girlfriends, or sorority sister. Made of distressed wood and embellished with burlap embroidery bow and layered with frame mat. Approx. Size 5" X 5"